Sounds like the title of a camping poem, A Good Panhandle. But the Panhandling for Poetry workshop went off without anyone getting arrested, and it was quite the adventure. 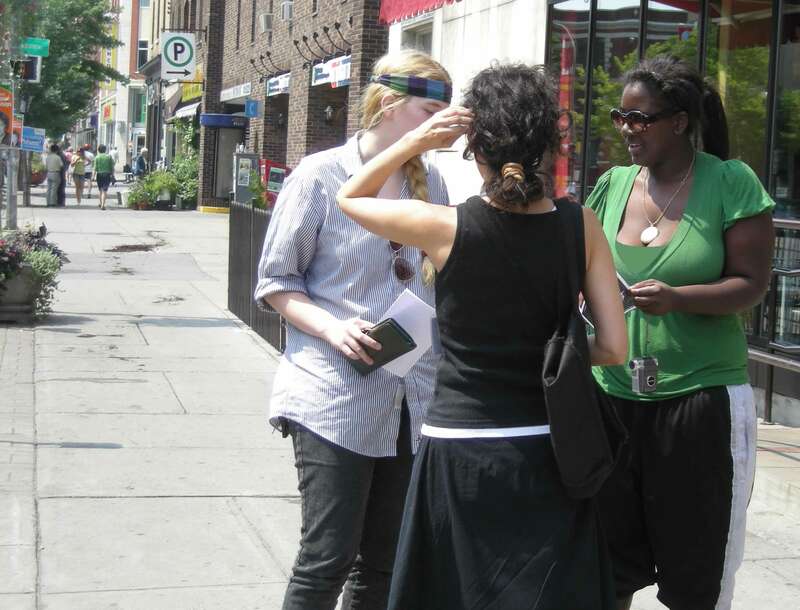 First, thanks go out to Katherine Beeman and zoï kilakos who participated, and engaged unsuspecting Montrealers in a truly glorious demonstration of public poetry. Thanks also to CTV’s Paul Karwatsky and camera man, Louis. Here I am, sensitizing the public to the poetic revolution. It takes a bit of practice to successfully engage strangers, but it gets easier and I enjoyed it tremendously. I will have to do it again!! However, the real secret of poetic panhandling is perseverance. Just do it, again and again. zoï (back to camera) shares her poem. Just a reminder, the deadline to apply for the Montreal Public Poetry Festival is approaching: August 29, 2008. We appreciate early applications so we can estimate the number of venues required. This sounds informative and great fun. Poetry lives…and panhandling pays the bills??? 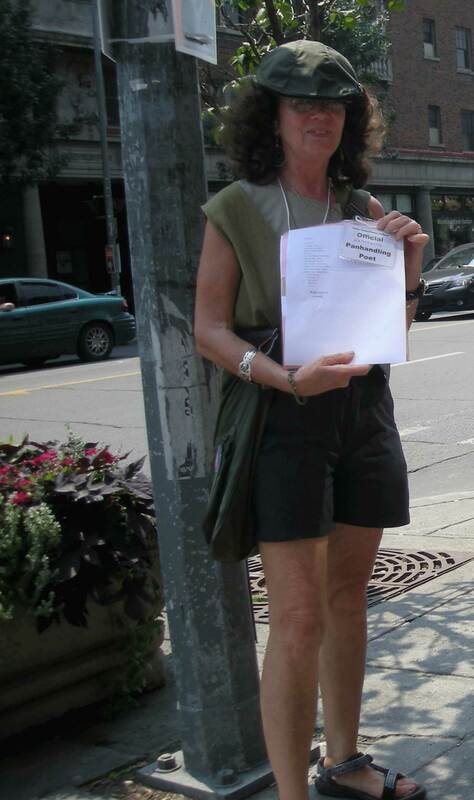 The poetry panhandling was informative, was public, and was fum–a great promotion activity. And it almost paid the bills, won’t give up my day job yet.